Okay my friends! This has got to be one of my ALL-TIME favorite salads! Whenever I get a chance to eat at a Nordstrom Cafe, I will always order this salad! The cool thing is, is that every Cafe makes this salad the same way except for the protein that goes on top! For instance, in the Murray store it is garnished with grilled shrimp, in Costa mesa it's grilled flank steak and in Vegas I believe it's chicken. Yum! I would take the dressing from this salad over ranch anyday! It is spicy, zesty, savory and sweet! A total circus for the mouth! Beat that! 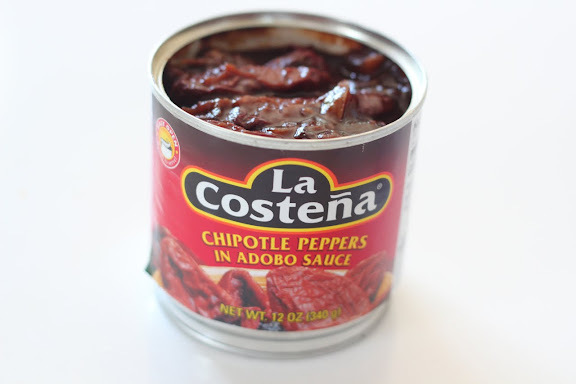 For the dressing you start with chipotle peppers in adobo sauce. 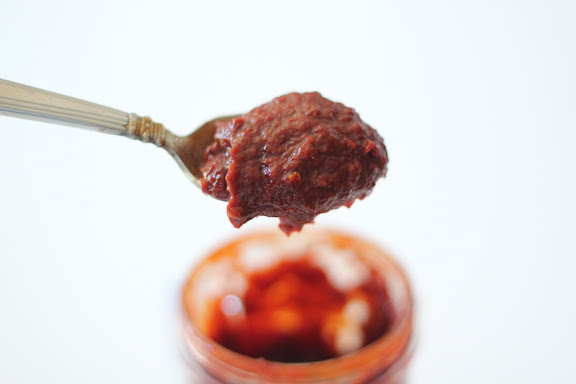 The original recipe calls for chipotle paste for which I have never seen in a grocery store. So it's easy enough to whip up your own! 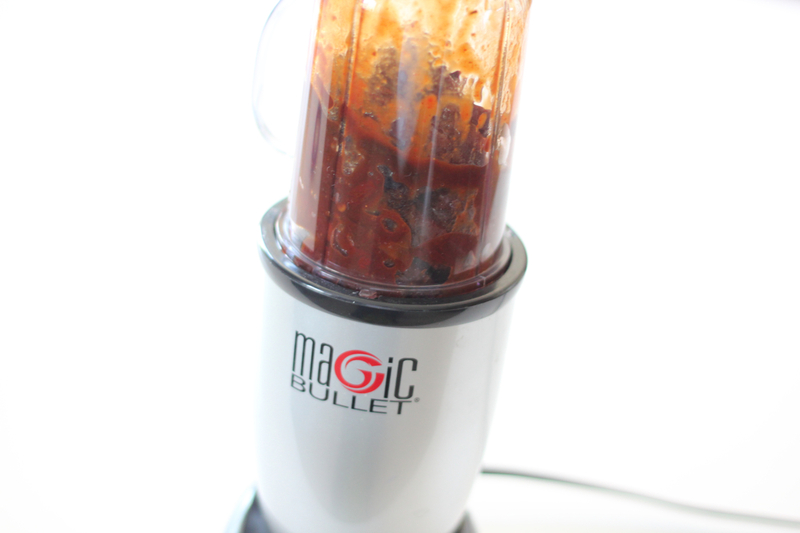 Empty the can of chipotle peppers(sauce included) into your blender. (I used the Magic Bullet. It's small and so convenient in the kitchen.) Blend until as smooth as possible. It will be about the same consistency as tomato paste. Set aside. 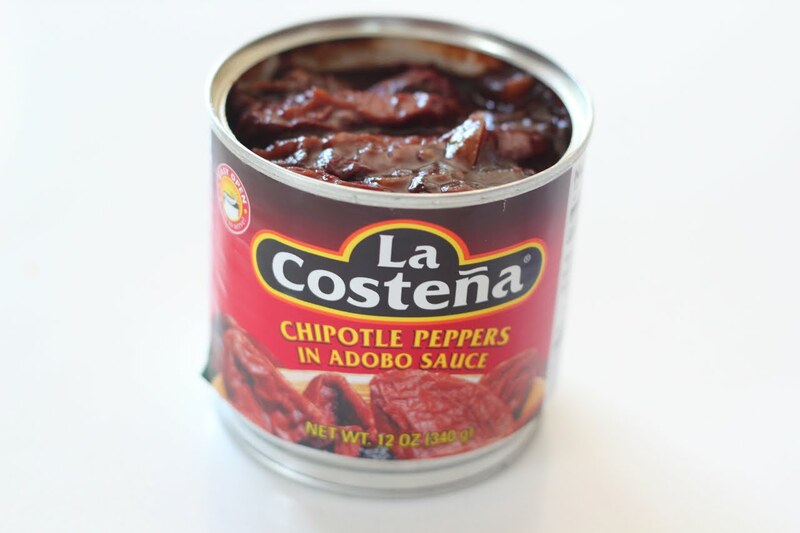 Note: Chipotle puree can be stored in your refrigerator for up to 2 weeks. Blend all ingredients together, making sure it is mixed well and completely emulsified. This recipe makes just shy of a pint. Store in refrigerator until ready to use. Use within 48 hrs. I sprinkled both sides of the steak with a little kosher salt. 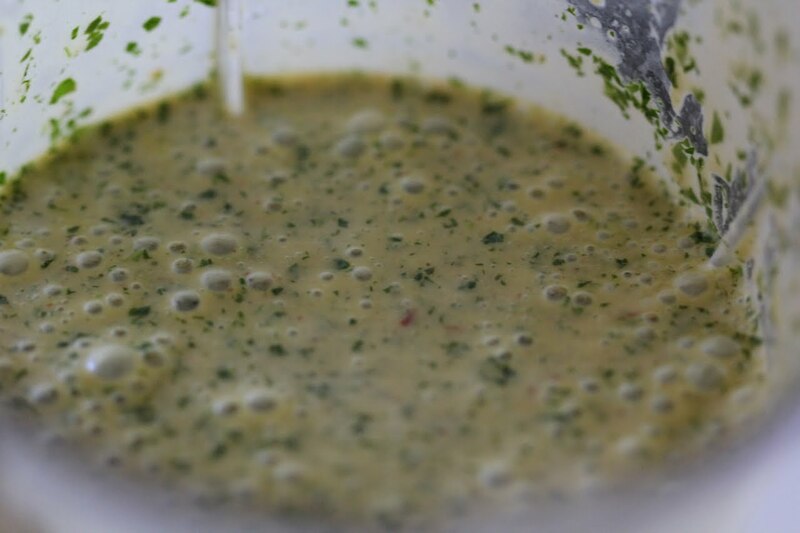 Then I poured about 1/2 cup of my freshly made Chipotle-Lime dressing over the top to marinade! Cover and put in the fridge for 1-3 hours! 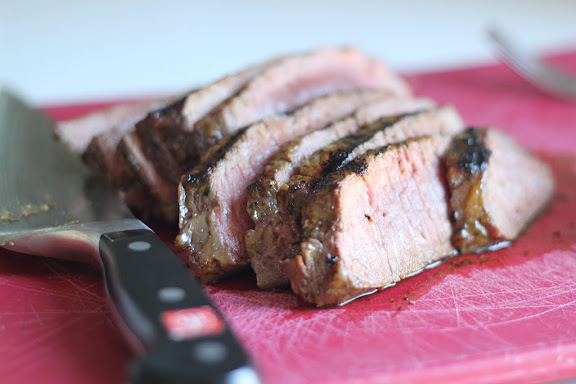 Continue the steps below once you are ready to grill the meat. 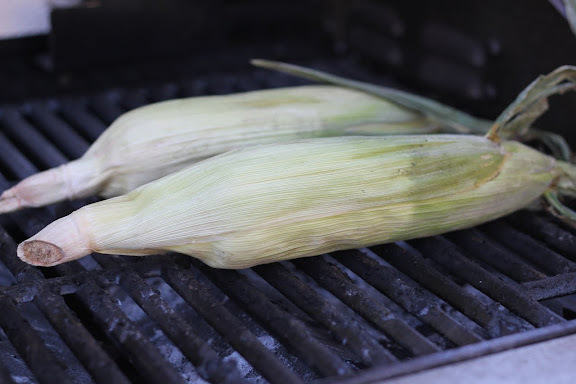 Take two ears of corn and set them over medium high heat for 8 minutes. 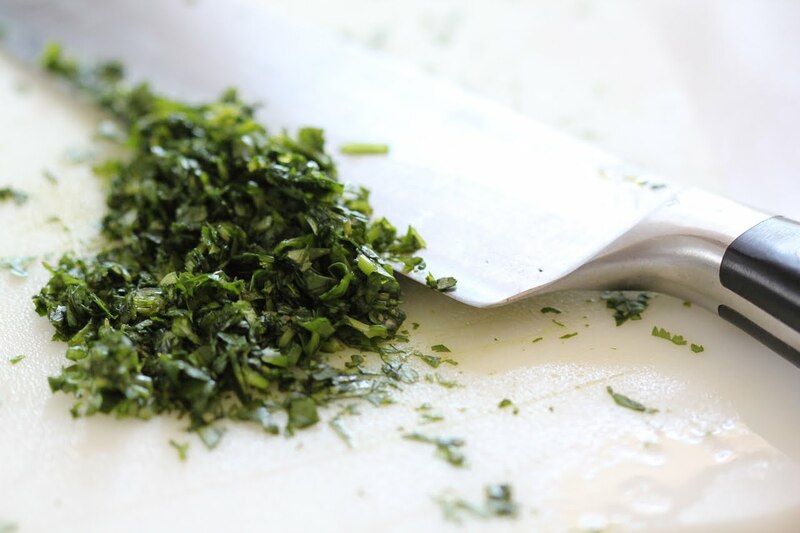 Turning every 2 minutes with metal tongs for even grilling. Set aside to cool. Place steak on grill with medium high heat. Grill 6 minutes per side. Note: This is for a 1 1/2 - 2 inch thick piece of meat. 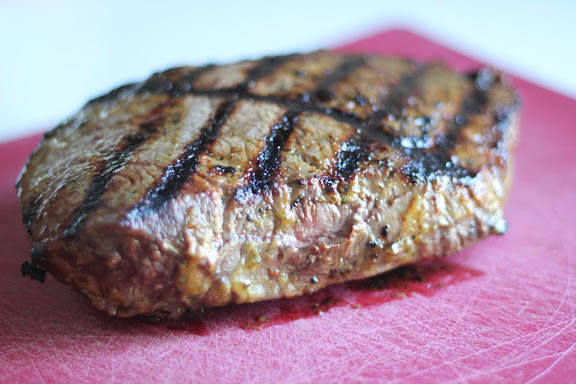 Whether your meat is thicker or thinner, grill it for the same amount of time. You will understand why in the steps below. 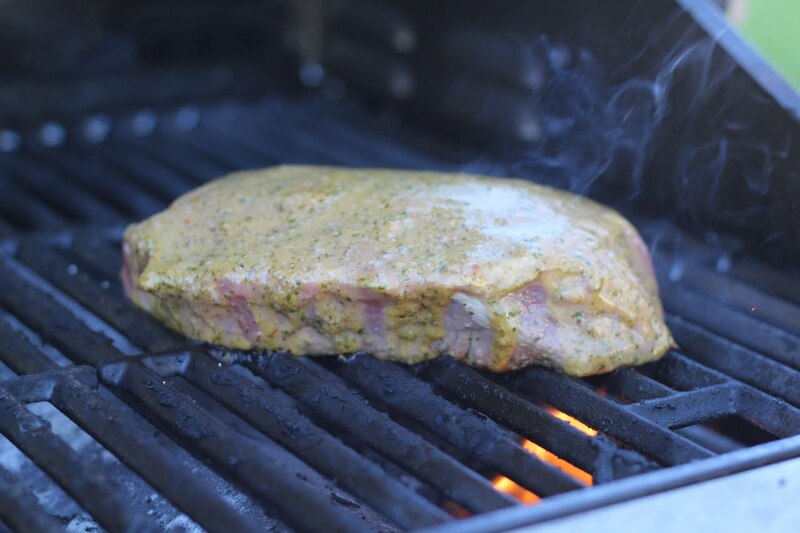 Take meat off grill and allow it to rest for 5 minutes before slicing. Slice tougher cuts against the grain of the meat not with it! And slice it thin! The meat will likely be anywhere from medium-rare to medium. If you like your meat this temp, have at it. At my house we are more on the medium well side. So I finished cooking the meat in a 400 degree oven for 15 minutes! The 6 minutes per side of grilling is for flavor and grill marks. (eye appeal) So finishing it off in the oven is ideal. Any longer on the grill and your meat will become charred! This is why the thickness doesn't really matter! Shuck the two ears of corn and hold the stem end in your hand with the other end pointing down on a cutting board. 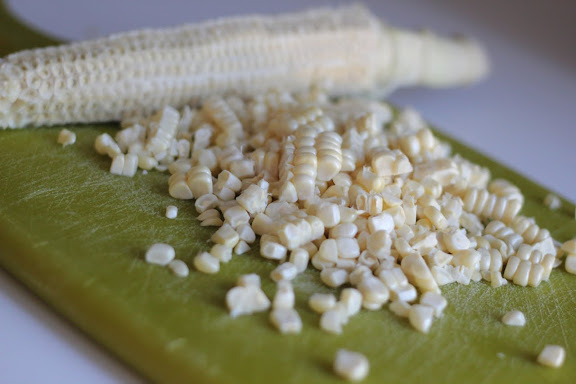 With a sharp chefs knife trim the kernels off the cob vertically from top to bottom. 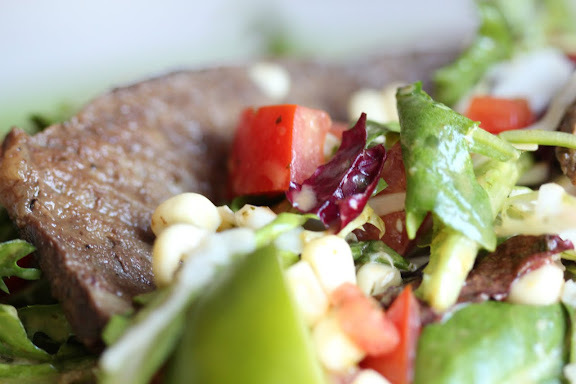 Mix corn, tomatoes, red pepper and spring mix with the chipotle-lime dressing in a large bowl. 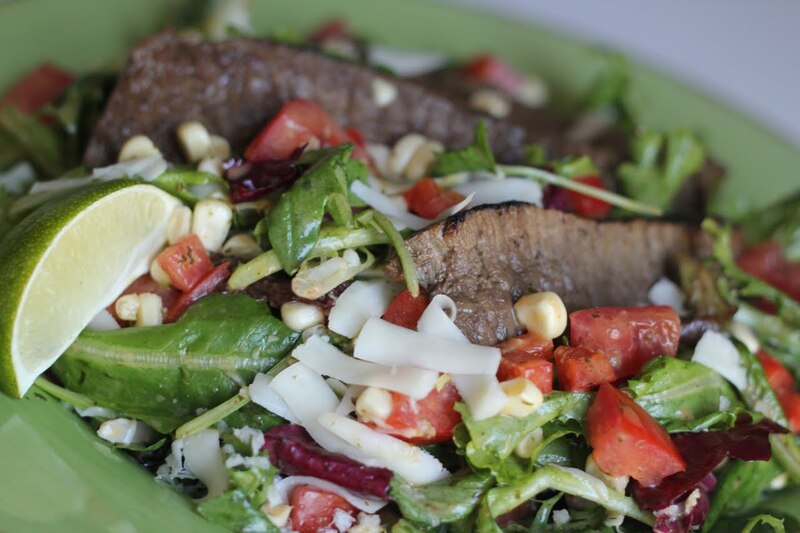 You may have a little dressing left over depending on how much dressing you like on your salad. I personally don't like salads drenched and becoming soggy with dressing so I had about 1/3 cup leftover. Next, divide the mixed salad between 5 plates sprinkle each with some of the grated monterey jack cheese and then garnish with 2-3 slices warm steak! YUM! That looks like the most delicious salad on the planet. oh this is the yummiest salad, everytime i go to nordstrom it is a must order...I like it with shrimp and chicken too! so excited to have the actual recipe, thanks for sharing! 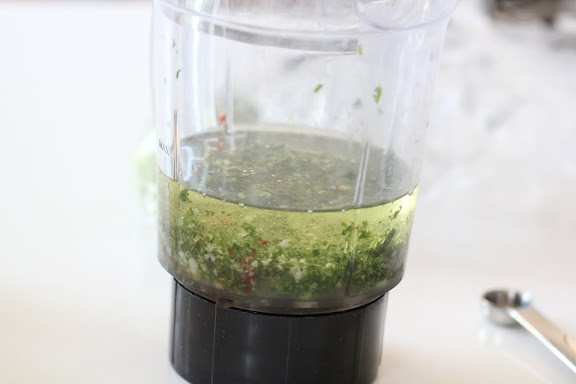 I am making this recipe today...and it smells like nords in my kitchen!! 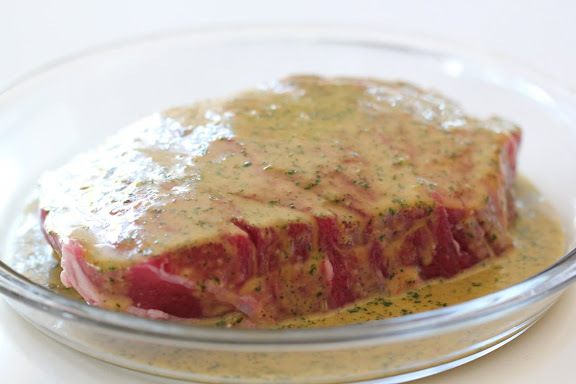 Question...my dressing/marinade is a lot more red than your picture, did i miss something?